I would like to recreate Zelda 1 as an adventure map for Zelda Online. Therefore I need all bosses from Legend of Zelda in MC style. 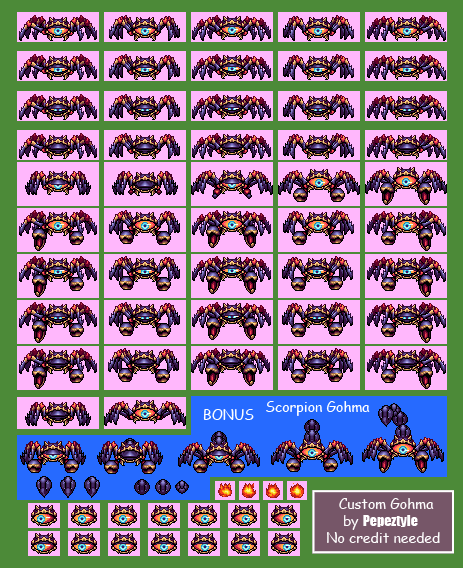 Probably some of these bosses already are finished or have been started but I just don't found them in the forum. If you find them, post them here, that would be great! 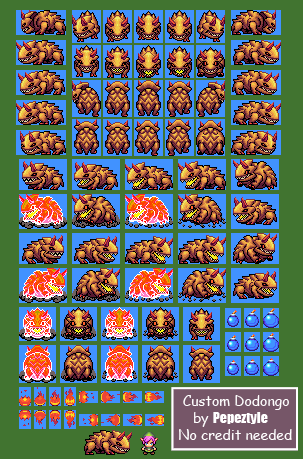 Otherwise we could try to create them based on the sprites we already have. Click here to check out my Deviantart! They need a little editing colourwise, but other than that they fit Minish Cap perfectly. Thanks, I like Ganon! He is not perfectly Minish Cap style but almost! Manhandla is good as well but it's not the same Manhandla as from Zelda 1. I just found a better one to start with. Gohma? Ok needs a recolor but a perspective change would be nice as well. 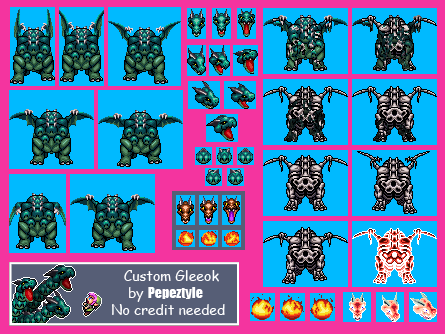 Gleeok should be easy to made because he also appears in Minish Cap. The other sprites are not really MC. I think the Dodongo looks good. I recoloured it to make him fit Minish cap a lot more. 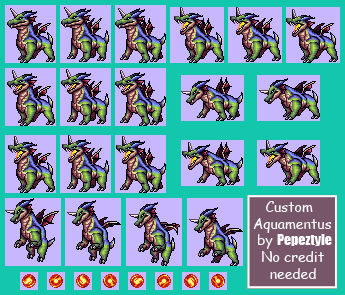 The primary issue with Pepeztyle's work is just that: the palette is too deep for Minish Cap style. 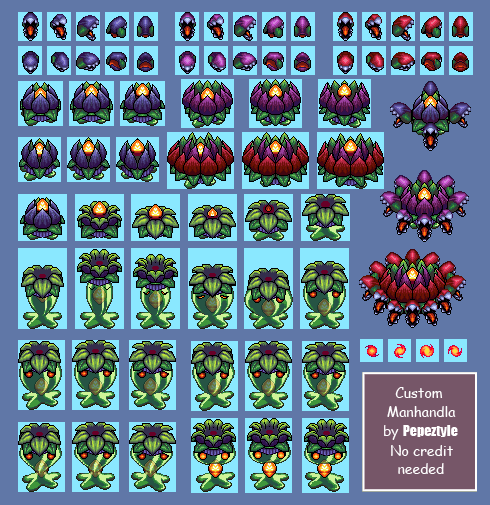 So you'd have to mess with the coloration, the palette depth, the "texture" of the sprites... and that's if, of course, you can reach Pepez` and he(/she?) gives you permission to edit them. Can we create a new thread / collaboration to improve that Ganon sheet? I think it'd be worth the effort, as it's the furthest progress I've seen across the entire internet to making a MC Ganon. I was talking to my friend last night, and he was mentioning about how in 1980, he thought the internet would become this amazing place where people from across the world would share ideas. I was telling him about how this project [KOT] has worked, lurching along for years and drawn by different people from across the globe, and he thought it was beautiful. And he was right, it's awesome. Take part in the Zelda Timeline discussion here! Click here for a possible project on the ZFGC Wiki. Please support! I´m up for it! Lets do it! Sound like fun! 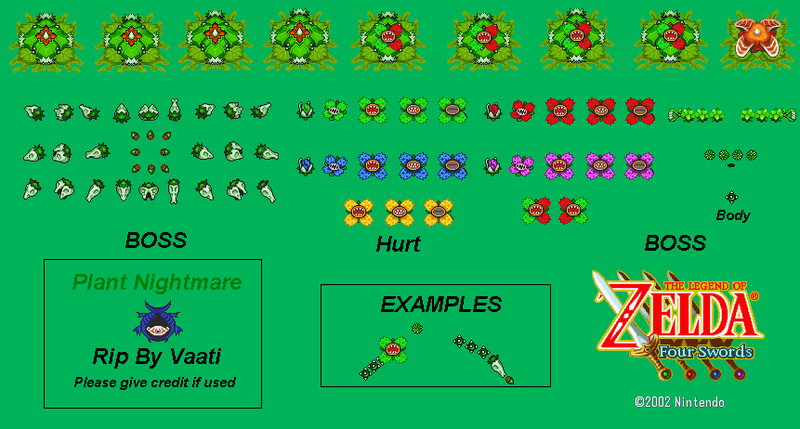 I can help out with these, just another excuse to sprite. See the attachment to get an idea of what we're working with. Included is the palette (which needs to be converted to actual, in-game values, possibly using this sheet, as it's what I've been using for a decent palette) and a height comparison. First thing that jumps out: too many colors on Ganon... Minish Cap uses a maximum of 15 colors per palette (see the Link palette). But I guess if we need to stay true to the source material, there's not much that can be done about that, is there. Maybe but I definitely can say that this is not the correct Link palette since he wears red shoes, not brown ones. I made a huge improvement of Ganon overall. I changed the palette entirely with MC colours. I edited the chestplate and the legs to be MC styled and I removed the arms because I think they can be improved. I put an alternate colour variation for if we decide to change the chestplate pallete. I overall like the result! That would be too many colours right? The palette HAS to be made of 15 colours (according to Miles) But we can make an exception. I mean, its adding three more colours, so why not? Edti: Actually, nevermind, I found out how. I remade Ganon's body and slightly modified the head, also I edited some of the colors and now we have another slot for an extra color. I personally like the fisrt legs better, they look more pig-like and they remind me of the moblin ones. Page created in 0.114 seconds with 66 queries.